SUPPLIES - Sucs for You! You can view them all on my curated Amazon shop! AND my book The Succulent Manual is now available as an eBook!! Please check it out and leave a review! Since I’m always being asked about the different products and tools I use, I’ve made a list! The supplies I use most frequently and find reliable are listed below and many are pre-linked to where I purchase them online. A lot of repurposed items make their way to my garden area or are available at dollar stores, etc. so look around first! But if you’d be so kind as to use these links if you decide to buy them online, a small portion of the sale will go to helping me keep this site live and packed with useful information at no cost to you. I tried to link to Prime products with free shipping where possible. Want to try Prime? (Free for 30 days, comes with way more than just free shipping), click here. And if you’re looking to order some beautiful and healthy succulents, you’ve got to check out MountainCrestGarden.com. Drainage Materials: Buy from Sucs for You and support the succy-saving cause! See the shop page for options. -Turface/Soil Conditioner: Try to find this locally at irrigation and fertilizer stores. I get mine from Southwest Fertilizer in Houston, TX. Turface (store locator link) and Profile are two brands selling this product. Plastic pots retain more water than clay and are great for temporary and permanent display if you are using the right soil. A must have for propagations and perfect containers for gifting or selling your extra plants. 2″ Terracotta tone square plastic, 100ct – Fave! 3″ White round plastic, 50ct – Fave! Funnels – Used for refilling spray bottles and best tool for watering tight arrangements without making a mess. Also great for slipping dirt down into those hard to reach spots when repotting tight arrangements. Cheap Saucers – Here’s a great example of my frugality. I needed a bunch of small saucers to keep my shelves dry but didn’t want to pay $1+ for each. So I racked my brain and found these square appetizer plates at a party supply store, so check locally for smaller quantity before ordering online. The rims are high enough to keep water from spilling over and they’re too perfect! Be sure you get the right size for your little pots. Succulent/Cacti Food – Feeding cacti during their growing seasons is essential to strong pricks! Two good options are available from Espoma and Schultz. Grow lights- Sometimes we need a backup plan… great for overwintering indoor plants, supplementing outdoor plants on overcast days, boosting your propagation efforts, and more. These iPower and Agrobrite system are both reliable and affordable. I recommend at least 6 T5 bulbs in white light. Grow lights don’t have to be expensive and will help protect your ‘botanical’ investments when growing conditions aren’t ideal. This timer is a good accessory if you don’t want to worry about cooking your plants in your absence. Grow light stand: I built my grow light stand but you can find them for a reasonable price. For a full list of lighting supplies check out my curated ‘shop’ on Amazon. Serger Tweezers- I really wish I got these sooner! The angled shaped makes it so easy to stick little plants in tight places without knocking others over, and for placing those final touches of pumice ‘just so’ in your arrangements. Also good for pulling out dead leaves without touching anything else- basically makes potting much less frustrating. Cross-lock Tweezers- I bought these to use for hand-pollinating, but they’ve come in really handy for reaching dead lower leaves, spot-removal of pests, and gripping small plants without needing to keep squeezing the handles (you can put them down and they’ll still hold the object). Protective gloves – Got pricks? You need these. Protect against cacti spines and other thorny plants. Maybe not Bougainvillea thorns though…youch! Glass and Tile Drill Bit- Used to drill holes in glass terrarium bowls, clay pots without proper drainage holes…I’ve even drilled a porcelain Turkish coffee cup (boy was that tough for being so small!). Shelving- Large, medium and single stackable. Be sure the racks allow water and light to flow through. I don’t recommend plastic – it’s just too susceptible to poor-quality. 4 Tier– I have one of these…. Large plastic bins with lids, 4ct– A MUST HAVE for mixing batches of soil, keeping things like pumice and perlite dry, and general dry storage. I keep a couple under my work table and a couple more in garage. I also use one to catch rainwater or store tap water to dechlorinate. Nail brushes- I have one by each sink and give them as gifts to gardener friends. I use them more than any other ‘beauty’ supply! Flora Glue- This is the stuff! Used in crafting jewelry etc with living succulents, you can easily remove the plants once done and pot them up! Gorilla Cart- I debated between a wheelbarrow or one of these and opted for the cart. The sides come off and save my back from lifting bags of dirt, granite, heavy/multiple plants, cinder blocks, and plus I can use it to haul trash and lawn debris to the curb. Also great as a garden bench and for rides around the yard/neighborhood! Water jug– It gets really hot and humid here so I always have one of the small Igloo water jugs filled with ice and water. Snaps closed and keeps out dirt, stays icy cold all day. Electric fan– Sometimes it gets really hot out and a fan or two is a must for me and my plants to survive the heat. I like the tall, round oscillating type best (floor/pedestal). Last summer I used the linked model outdoors (covered porch), in killer heat, non-stop for nearly 3-months and it’s still going strong. Forget about the vertical ‘narrow’ models. They are too wimpy to do any good. For rain protection- Yoga mats! Remove your plants from the top shelf, cover with a yoga mat, weigh it down with a brick or rock. I use my mats for my plants waaay more than I’ve ever used them for yoga. If you can’t find proper drainage materials locally, or you want to see what a good mix looks like, these options are perfect to get you started with a batch of fast drying succulent soil. Just add dirt! All of these also work as safe and attractive top dressings for your pots, combined or individually. And yes, other plants will love it too! Bonsai, Herbs, Azaleas, Hibiscus and just about any plant that likes their soil to be airy and fast-drying around their roots. You can add more topsoil to your mix if you live in an arid climate or grow indoors. In humid climates, reduce the topsoil and add more drainage materials. You can also use potting soil, but be sure it doesn’t have additional fertilizer. Options include premixed or individually bagged. Choose from the dropdown menu below and click ‘Add to Cart.’ To add more items to your cart, click ‘continue shopping’ on the Paypal checkout page. All sales final. Shipping included in price. 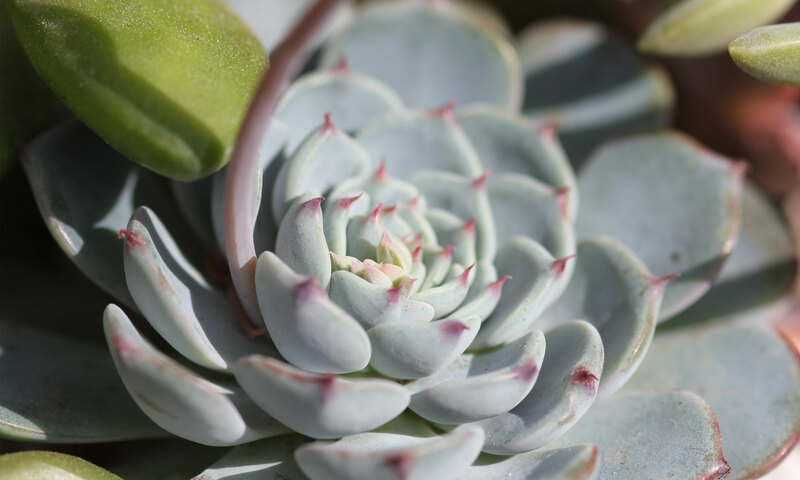 Looking to purchase The Succulent Manual eBook? Awesome! See this page for instructions.